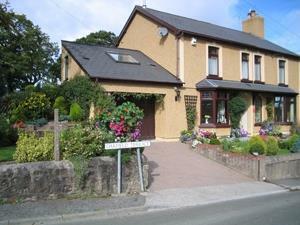 Oakfield B&B has 3 tastefully decorated bedrooms. - Double ensuite sleeps up to 2 people. - Family room with private bathroom sleeps up to 4 people. Each room has tea/coffee making facilities, colour TVs with Freeview, WiFi available, towels and bedlinen supplied, shower gel and hand soaps supplied, hairdryers, thermostatically controlled radiators and for those really cold nights there are hot water bottles too. Guest information folders have information on places to eat and things to do in the local area. There is also a guests' lounge available for relaxing with TV and a selection of books and board games to use during your stay. All prices include breakfast. Vegetarians, gluten free and vegans catered for (advise at the time of booking to ensure availability). When travelling from the directions of Pontypool, Brynmawr or Abergavenny follow the brown 'Big Pit' signs to Blaenavon. We are on the B4246 heading towards Varteg, situated 200 yds uphill on the right just past the bend but below the railway bridge.